I'm not sure if I've ever been more nervous before a game in my life. Any Aussie, if they're being honest, would tell you they were nervous too. Lining up against Chile with a team of mostly unknowns and a few aging veterans, nobody gave the Socceroos a chance of getting anything out of this game. When Australia found itself down 2-0 after just 15 minutes, if seemed all of our worst fears were going to come true. But then it happened. After desperately hanging on to not go further down for the next five minutes, Australia started to get on top. The young team started to find some poise and then they found something else - Tim Cahill's head. There was no hiding what Australia was trying to do, but as he's done time and time again when he wears the green and gold, Tim Cahill delivered. His goal late in the first half means that he's now scored in three straight World Cups, and along with recently becoming the Socceroos leading all time goal scorer, I think it's clear he can be considered the greatest ever to pull on the jersey. The Socceroos kept going back to the well in the second half, and for a time it looked like they were going to get the equalizer, when Cahill again hit the back of the net, before being waved off for offside. In the end, while Australia were clearly the better team in the second half, they couldn't take advantage of their opportunities, and Chile's goal in injury time sealed the deal. While we may not have won the match, the way Australia fought back after going down two goals so early is certainly something every Aussie can be proud of. This young group (with a sprinkling of veterans) will learn from the experience and hopefully rebound. Off the field, the experience couldn't have been much better. While the Chilean fans had us outnumbered at least two-to-one, the banter was generally very friendly, and helped make for a fantastic atmosphere. 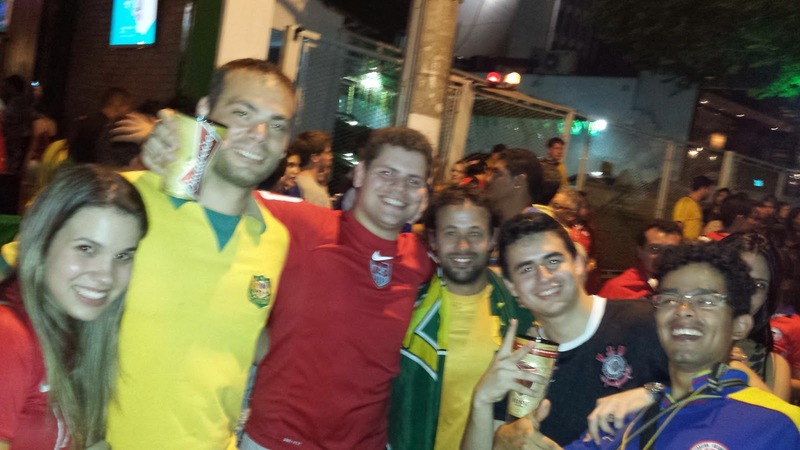 The locals of Cuiaba were also keen to get involved, many attending the game and then inviting us to party with them afterwards. The streets of praca popular were filled with people celebrating a good game and a great night. Today as we wake up and shook off our hangovers, we look forward to the next challenge, a red hot Holland team in Porto Alegre on the 18th. If Australia can play with the same assertiveness they did after the first 15 minutes, then we should be able to compete. The game plan wont change though - get it to Timmy's head!